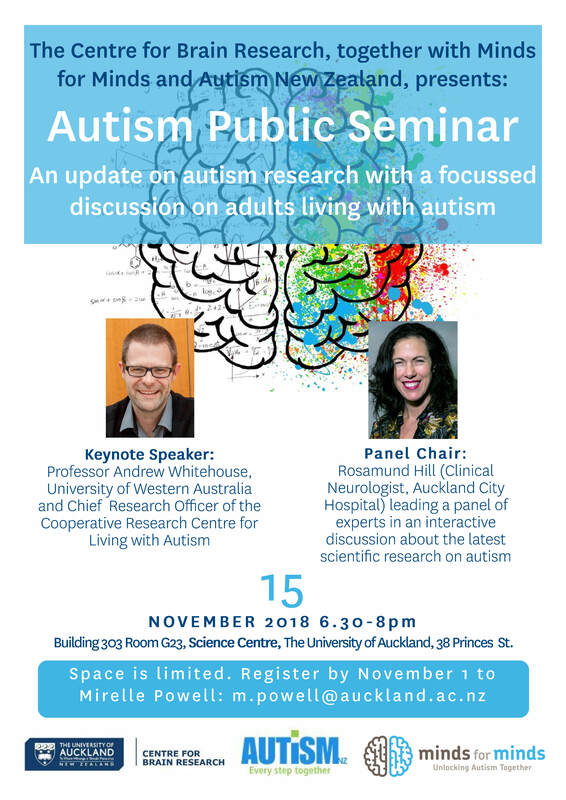 Together with the Centre for Brain Research and Autism New Zealand, we are excited to announce our upcoming public seminar on 15 November 2018. We are honoured to host Andrew Whitehouse, Professor of Autism Research at The University of Western Australia and Chief Research Officer of the of the Cooperative Research Centre for Living with Autism. A panel discussion with clinical and research experts will immediately follow. This will include a focus on the support available for adults with ASD in New Zealand, and provide and opportunity for you to voice your questions. The evening will end with light refreshments in which attendees will have the opportunity to further converse with academics and students.